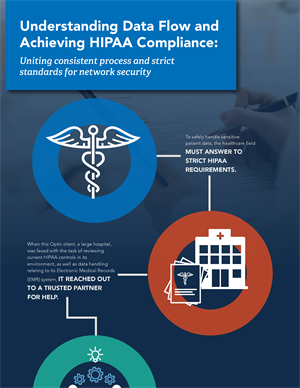 When a large hospital was faced with the task of reviewing current HIPAA controls in its environment, they turned to Optiv as a trusted, strategic partner. Optiv helped this client better understand how information moves in and out of their Electronic Medical Records (EMR) system by creating a network flow diagram. This hospital worked with Optiv to successfully secure its sensitive patient data and reputation. Learn more about their journey in this infographic.